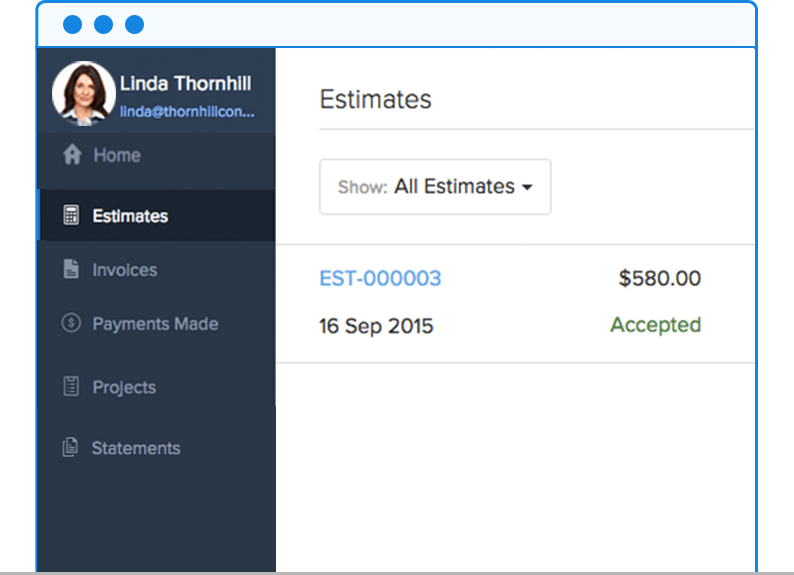 Craft, send and manage estimates. Set the right expectations with professional-looking estimates. Every bit of information, from terms and conditions to customer notes, can be captured with ease. Choose your favorite theme from our template gallery, and make it your own before you send it to a client. 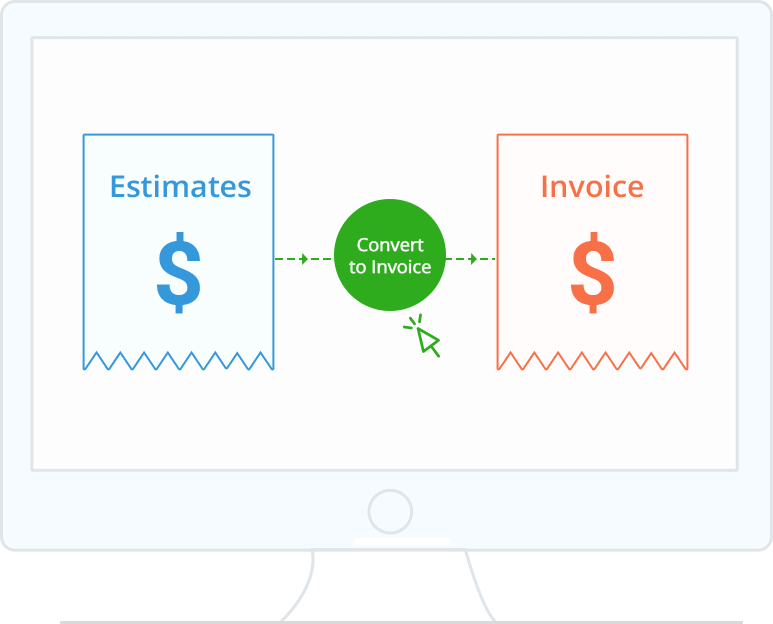 Once you get your client's approval of an estimate, convert it into an invoice without having to re-type the information. The Estimate History section lets you keep track of the discounts, note changes and monitor interactions with your customers. Invite your clients to the Client Portal, so they can accept or decline estimates, make advance payments and share their comments. How can I share estimates with my clients? 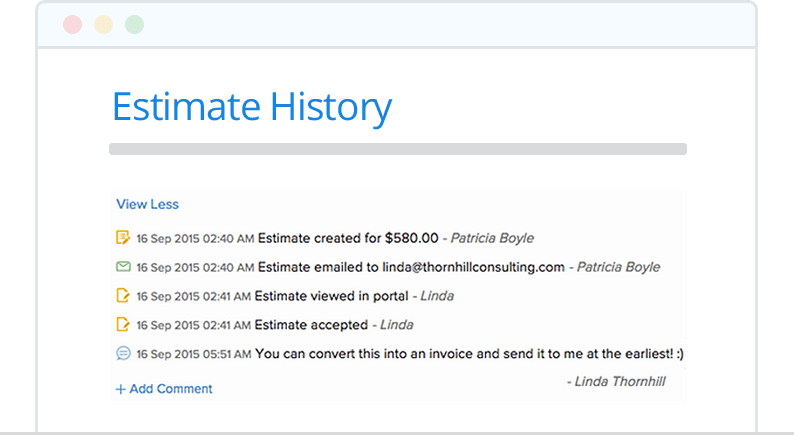 Zoho Invoice lets you share the invoice to your customers via email or through the client portal. How can I customize my estimates? 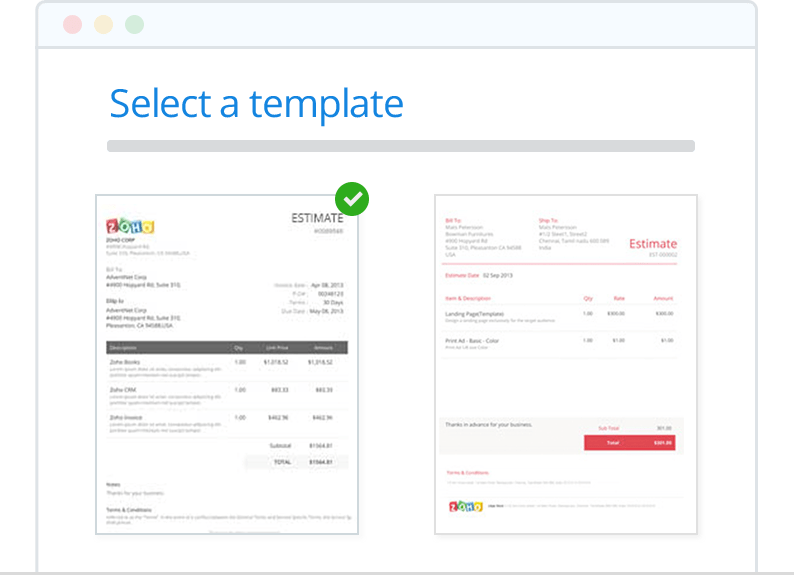 Zoho Invoice offers a gallery of templates that lets you customise your estimates depending on your requirement. You can choose a template of your choice and tailor it to suit your brand. How can I create a project from estimate? Once you create and send the estimate, you can choose the 'Create Project' option from the drop down and create projects directly, in a click.